The kitchen is located next to the restaurant. This traditional building is light and airy, and is an integral part of the resort which can be visited by guests any time. It was designed to be a pleasure to work in for those who enjoy good food and cooking. Check out the Wild Lodge calendar for cooking classes which will be held on Eco Retreat Weekends. 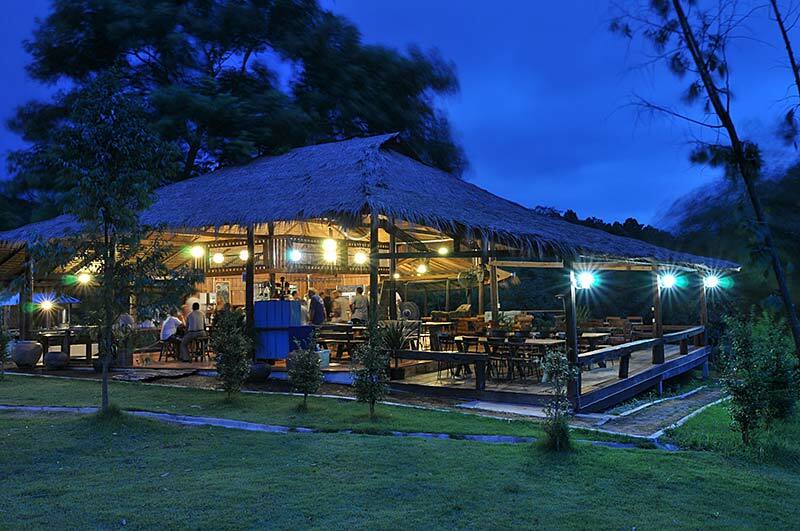 The Hornbill Sala and Sundown café comprise a split level safari camp style restaurant and bar, with an al fresco barbecue area for true outdoor dining. It is well appointed on the hill and both the upper and lower levels enjoy both views of the sunset over Khao Ito and sunrise over Khao Yai.